While the Obama Administration has staked a great deal on moderates in the Iranian regime, it is hard to see much progress in the Islamic Republic. 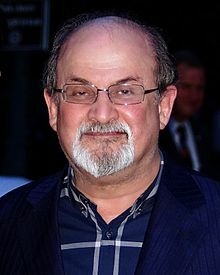 That was made clear this week with the news that forty state-run Iranian media outlets have jointly offered a new $600,000 bounty for the death of British Indian author Salman Rushdie. Ayatollah Khomeini, the First Supreme Leader of Iran, issued the fatwa against Rushdie on charges of blasphemy for his novel The Satanic Verses on 15 February, 1989. Ayatollah Khomeini’s successor, Ayatollah Ali Khamenei, said in 2005 in the hateful fatwa remains in full force not just against Rushdie but anyone associated with the book. The fatwa captures the continuing problem that Islamic countries have with basic free speech and free exercise rights. The Islamic Republic’s blood-soaked understanding of the Koran has already racked up victims linked to the book. Hitoshi Igarashi, the Japanese translator of The Satanic Verses, was stabbed to death and the Italian translator Ettore Capriolo survived being stabbed at his apartment in Milan. The novel’s Norwegian publisher was shot three times in the back and left for dead outside his home in Oslo. All of these hateful acts were viewed as triumphs of Islamic justice among Iranian hardliners. The involvement of Iranian media in the most recent renewal of the death sentence is particularly distressful. To have “journalists” call for the murder of someone who merely publishes his views is an example of the grotesque logic found in the Islamic Republic. Everyone knew that Iran was going to put Obama’s billions to use financing terrorism, but I don’t think anyone expected them to bring back that terror classic. But there’s nothing like Muslims when it comes to grudges. The Sunnis and Shiites are still mad at each other over a thousand year grudge. So don’t expect them to forget about Salman Rushdie anytime soon. Fars News Agency, which is closely affiliated with the Islamic Revolutionary Guards Corps (IRGC), was among the largest contributors. Next time anyone quotes Fars, here’s a little reminder, it’s an actual terrorist organization. So is the entire regime. The one Obama decided to pump billions into while Iran continues pursuing its nuclear weapons program. Oh by the way, the Satanic Verses is a reference to those times when Mohammed got his prophecies from Satan. (No seriously, this is Islamic doctrine.) So you can see why Islamic theologians have no sense of humor about it. Or anything else that doesn’t involve brutally murdering infidels. …Everyone knew that Iran was going to put Obama’s billions to use financing terrorism…<b. ??? ?It's their money!!!! …it’s an actual terrorist organization. So is the entire regime…. Is it just sheer ignorance or dogged deception, to be quoted by his ignorant readers? …Oh by the way, the Satanic Verses is a reference to those times when Mohammed got his prophecies from Satan. (No seriously, this is Islamic doctrine. )… Hahaha…I am not sure how to handle this given how illogical it is… it is islamic doctrine that Muhamad got his revelations from satan??? Yet the whole quran warns against satan and preaches worshiping God?? Why would the Satanic verses be controversial then? Only a dimwitted follower would believe this enough to quote it publicly! Based on the above, bambam, you can see why we are justified in believing Daniel Greenbeans belongs in the loony bin? He gets his facts all wrong, no wonder he gets his conclusion similarly wrong. I am sure you don’t share his racist sentiments, for am sure you would not like someone referring to Jews in similar terms such äs “”there is no one like a jew when it comes to being cheap””? I think it may be time to distance yourself from the uttering of this idiot, I am not sure what qualifies him to write about international affairs but it seems to be no more than his rampant islamophobia, his hatred of Iranians and his stubborn and general ignorance. Please do not soil this blog with the childish and uninformed rants of such dimwit anymore. Lest we think you are similarly afflicted. Turnabout is fair play. Americans should put out money induced Fatwas on all Iranian citizens who do not wear a tee shirt denouncing the Iranian Fatwas. Execution of Iranians by burning at the stake. Exhibit 236 that extremism is the norm, not the exception, in the Middle East. It’s quite difficult to overcome brainwashing. People who were raised not to value free speech, religious tolerance, or women’s rights can have great difficulty understanding their worth. That is why moderates that actually live in the Middle East are so brave. Karen, just so our readers are clear on the subject, why don’t you tell them which countries are in the ME and which ones among them are extremist? Based on the number of countries in the ME, and based on what we generally call extremism, and based on the numbers of those countries in which such “”extremism”” is found, your exhibit couldn’t be any wronger! Also, what makes extremism the norm in the ME? What constitutes extremism? We need to ban Iranians from coming to the U.S. They might have a fatwa in mind instead of just a fatwife. Good to hear that they were released on bail, usually when facing execution, suspects are not released on bail. I wonder if the “”execution” claim is just another claim made to support the claim that mullahs are on a mad killing spree? What do you think, bambam? Meanwhile, happy Albert Woodfox release day…after 43 years in solitary confinement. HEAVY metal band members could be executed after being arrested for blasphemy over charges of writing “satanic music”. Two of the band Confess, Nikan Siyanor Khosravi, 23, and Khosravi Arash Ilkhani, 21, are believed to have been arrested on November 10, before being held in Iran’s notorious Evin prison by the Revolutionary Guards. The state’s Revolutionary Guard, officially called the Army of the Guardians of the Islamic Revolution, is a branch of the its military that enforces its strict religious code. The pair run their own record label and their latest album, released in October, included tracks named ‘Teh-Hell-Ran’ and ‘I’m Your God Now’, both of which would likely rankle with the state’s hardline Islamic leadership. Tara Sepehri Far, a researcher for Human Rights Watch, said the pair likely faced up to five years in prison for “insulting sacred beliefs”. She said: “Iranian musicians, especially the ones who play non-classical western music, are navigating a minefield. “Due to severe censorship, most of these groups are performing underground. Supporters and friends have begun using the #freeconfess hashtag and a petition has been started with over 11,500 signatures calling for the pair’s release. People from all over the world have signed the Change.Org petition, calling the arrests “medieval” and “barbaric”. A friend of the pair apparently told Trev McKendry, the chief executive of heavy metal website Metal Nation Radio, the men are working with their lawyers and waiting for their trial. The full charges against the band reportedly include blasphemy, advertising against the system, forming and running an illegal band and record label, writing anti-religious, atheist, political and anarchistic lyrics and conducting interviews with “forbidden” foreign radio stations. In November, more than 170 people were arrested by the Revolutionary Guard’s intelligence wing, including five journalists from Tehran, though it was not clear if the members of Confess were among them. Hadi Ghaemi, executive director of the International Campaign for Human Rights in Iran, described the arrests as ‘abductions, because the judiciary says they know nothing about at least 170 of them’. Iranian heavy metal band faces possible death penalty for playing music? Members of an Iranian heavy metal band are reportedly facing possible execution for playing music the government says is blasphemous. Two musicians in the band Confess — vocalist/guitarist Nikan Siyanor Khosravi, 23, and DJ Khosravi Arash “Chemical” Ilkhani, 21 — were arrested in their hometown of Tehran on November 10, 2015by the Army of Guardians of the Islamic Revolution, according to the music blog Loudwire. Citing a letter from a friend of the band posted on the Canadian music site Metal Nation Radio, it says the two were charged with blasphemy, advertising against the system, forming and operating an underground record label that promotes the satanic metal/rock style of music, writing religious, atheistic, political and anarchistic lyrics, and interviewing with radio stations based in other nations. The letter said the pair had been held in Iran’s notorious Evin prison for nearly two months in solitary confinement, were only released on Feb. 5 after they paid 1,000,000,000 Rial (about $30,000), and now await trial. Trev McKendry, who posted the anonymous letter on Metal Nation Radio, posted a video on YouTube telling Confess that the global heavy metal community is behind them. “I’ve taken [spreading the word] upon myself because my source, who is close to the band, reached out to me and specifically said that they asked me to help,” McKendry said in the video. Nearly all forms of rock music are illegal in Iran and musicians who break the law are often arrested, forced to pay heavy fines, and receive public floggings. But the penalties Confess could face seem to be even more severe. “They could be facing some serious charges,” Boroumand told FOX411. A rep for Human Rights Watch explained that if the musicians are convicted of “insulting sacred beliefs,” they face one to five years in prison, and if they are convicted of “insulting the prophet,” they could receive the death penalty. Executions in Iran are often carried out in public squares, with the condemned hanged from cranes. Such harsh consequences force most rockers in Iran to keep their music under the radar. Musicians are also supporting Confess using the social media hashtag #freeconfess, and Otep Shamaya, the singer for Los Angeles-based metal group OTEP, even started a change.org petition for the band because she believes every artist has the right to free expression, no matter where they live. So far, Shamaya’s petition has gotten over 8,000 signatures. Concerts in Iran are now are heavily restricted. Rock bands might be able to get permission from the government to perform live on stage, but their music must be instrumental, and if there are lyrics, they must be in Persian and approved by the Ministry of Culture. Allah’s Law is, “Thou shalt not kill.” They blaspheme Allah. Exodus 20:13 KJV – God’s Commandment is “Thou shalt not kill.” Satan prints some of their ‘holy’ books.